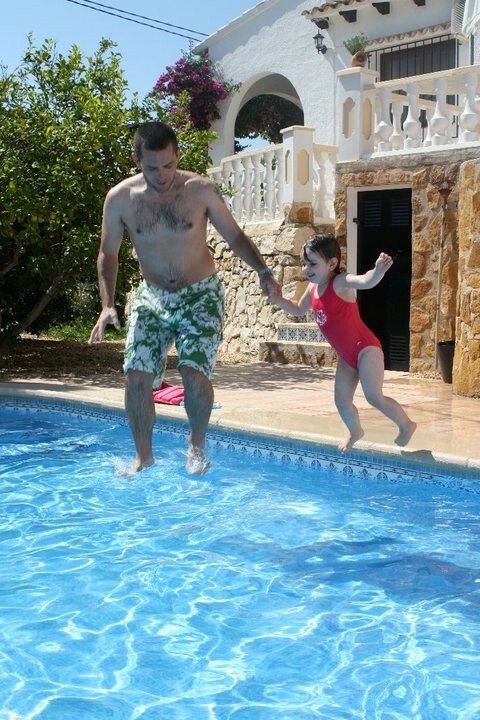 Those Summer Holidays at home and abroad are a great opportunity to practise our swimming and have fun in the water. We are often asked by parents for advice on holiday swimming so here are our top tips along with some comprehensive safety advice from the RLSS (Royal Life Saving Society) at the bottom of the page. 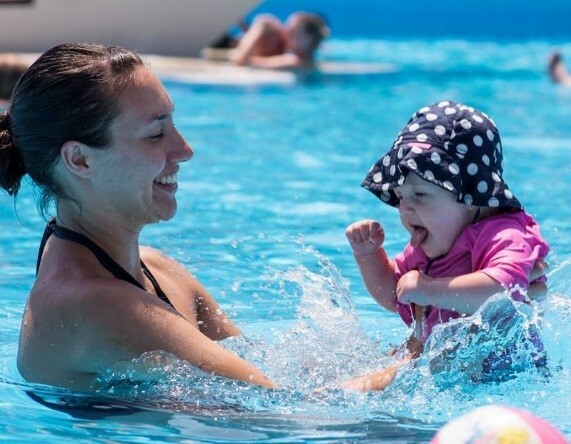 Keeping Warm – Your little ones have by now got used to lovely warm pools and the Happy Nappy has been ample for their lessons. However, very often those holiday pools aren’t heated and you as well as your little one may well notice the difference. We always recommend purchasing a wetsuit to take along with you just in case the pool is cooler than you hoped. Do make sure it’s a wetsuit too, as lovely as the popular sunsuits are, their role is UV protection and not keeping the heat in! Why not take a look at our own wetsuits on the Aquatots shop. The thin unique fabric retains body heat over 30% higher than a normal neoprene suit and is only 0.5 mm thick but provides the same protection as a 2mm wetsuit. It also offers UVA /UVB protection towards the sun at the same time (factor 50-60%), yet giving minimum buoyancy and drag in the water. They are also great for swimming at your local leisure centre as well as on holiday so well worth the investment. 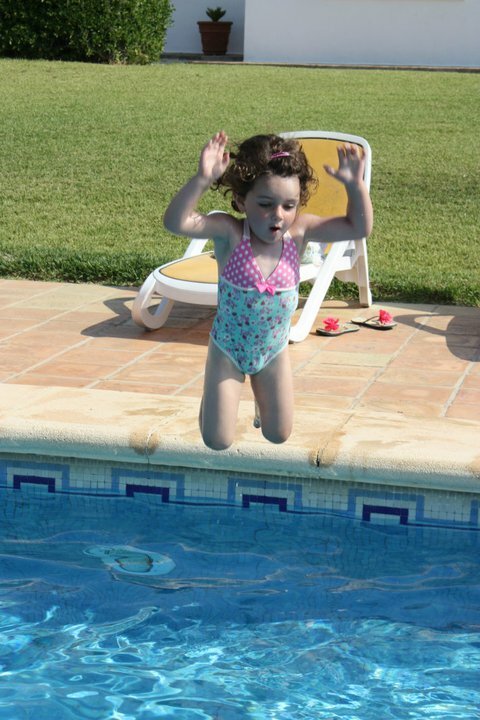 Practising Skills – Keep that holiday swimming as fun as possible and avoid the temptation to cram in too much skill practise. 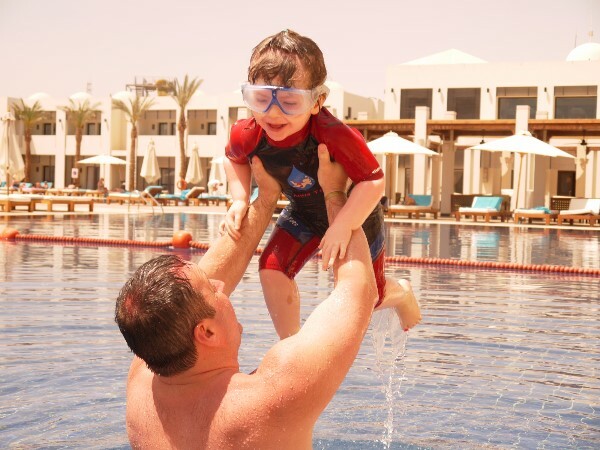 We love to see little ones coming back from holiday in fine swimming form from swimming every day but not so much that they are a bit fed up with it!! Mix skills in with general family fun and just enjoy that extra family time in the water. Also when swimming underwater be mindful of the water temperature again as underwater fun may not be so much fun for them if it’s much chillier than they are used to. Also for particuarly little ones under 12 months old please be aware of whether a pool is salt water. If so we recommend avoiding any under water submersions as babies kidneys are not fully formed and may struggle with salt levels. The same would apply for sea swimming. Have fun on the surface instead! Buoyancy aids be gone!!!! 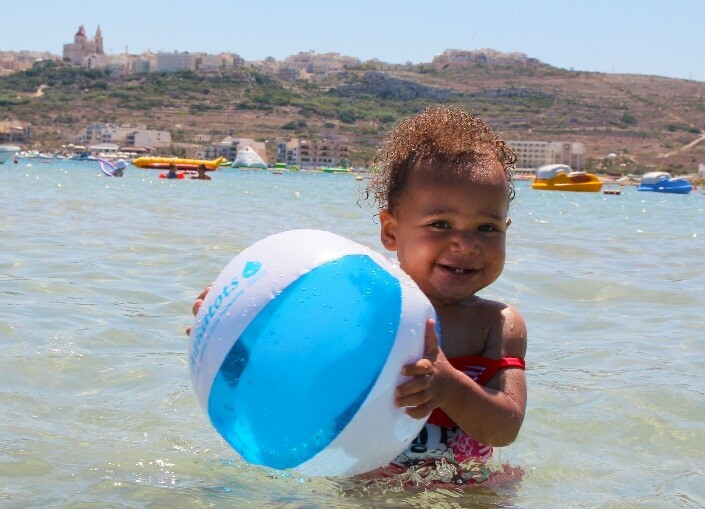 - As tempting as it may be to pop your little one in some armbands or a float suit on holiday, we strongly recommend you don’t. Not only do these aids tend to put your child in completely the wrong body position for swimming (i.e. an upright position with their head always out of the water) but they also give children a very false sense of security and confidence in the water. We occasionally see previously confident little Aquatots returning from holiday suddenly nervous and unwilling to let go of Mummy or Daddy or reluctant to put their face in the water or lean forward into a horizontal correct swim position. A few questions from the Teacher normally reveals this has been down to a little bit too much time getting dependent on a buoyancy aid. If you do want to give them a little independence in the water how about a little time toddling about in a shallow Toddler pool that they can stand up in instead, as long as its combined with some swimming time too, it won’t do them any harm.Or if you really are keen to see what they can do in the water without you holding them, why not try a noodle which still allows your child to paddle and keeps them in a good swim position. Follow these steps and you won't risk undoing all the great work achieved in your Aquatots lessons so far . Keeping Safe – By now you are probably very familiar with the depth of your Aquatots pool at set points plus any other safety aspects. Take time to assess the same at your holiday pool. Where is the safe depth for you? Is jumping in safe for Toddlers (pool should be deeper than child’s height). Is any deep end clearly marked? Is there a life guard? Is the pool gated? And of course, the most obvious part, make sure you children are under direct supervision of an adult at all times.